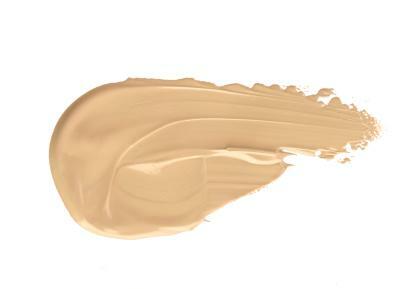 Pancake foundation creates a flawless finish. Iconic makeup brand Max Factor essentially revolutionized the makeup world with the introduction of Max Factor pancake makeup, which was an instant hit with Hollywood starlets of the 1930s and 1940s. Max Factor had been developing cosmetics for use in theater since 1904 and by 1914 developed the first cosmetic specifically for use in motion pictures. The development of Technicolor in film was the catalyst behind the Pancake formula. Max Factor's Panchromatic makeup left a slight sheen on the skin and left actors and actresses looking less than flawless in color films. After two years of development, Max Factor Pancake makeup was born and was first seen in the film Vogues of 1938. The matte, transparent formula was an instant hit with film crews and actresses. The only disadvantage was that the foundation was only suitable for use in movies because in natural light it made skin look much too dark. Pancake makeup is a solid cake makeup that is applied with a damp sponge, which allows the foundation to completely conceal imperfections without caking up or leaving skin looking shiny. The formula is versatile and you can customize the coverage depending on how you apply with a sponge. For complete coverage, apply with a slightly damp sponge and for lighter coverage, apply with a wetter sponge to thin out consistency. Max Factor's son, Frank Factor, saw the potential that pancake makeup had with the general public and pushed his father to create the foundation in lighter shades that were suitable for everyday use. In the early stages of production, the cosmetics company was only able to produce enough pancake makeup for use in film, but pancake was finally released to the public in 1938, where it went on to become one of the fastest and largest selling makeup items of all time, in addition to being the standard foundation in Technicolor films. After Max Factor's death in 1938, son Frank continued to expand the business and developed many additional cosmetic products including concealer, lip products and eye products. Max Factor products were sold in drugstores up until early 2010, when parent company Procter and Gamble pulled the brand from the U.S. market. Max Factor Pancake makeup lives on in an online space and can be purchased from sites such as Drugstore.com and Amazon. The product continues to receive enthusiastic reviews and customer testimonials, with some women saying pancake is the only foundation they've been using for over 60 years. The website Amazon sometimes has more shade selection, but this is not always the case. Even though Max Factor Cosmetics are no longer available in-store in the U.S., Pancake makeup has a rich history and still has a cult following. Avid fans scour the web in search of their perfect shade and will even buy in bulk when possible to always ensure they have an arsenal of Pancake at their fingertips.